Dhaka, 9 September, Abnews: Road, Transport and Bridges Minister Obaidul Quader has expressed uncertainty over completion of the Padma Bridge construction work by the scheduled time. “The Padma River is the most unpredictable one. Although everything is ready, I’m not still sure about its timely completion," said the minister while speaking at a press briefing at Saidpur Airport before starting his journey towards Dhaka at 10:30am on Sunday. “It has become tough to install spans… now it has become a herculean task. The construction works are getting delayed for such uncertainty,” he added. 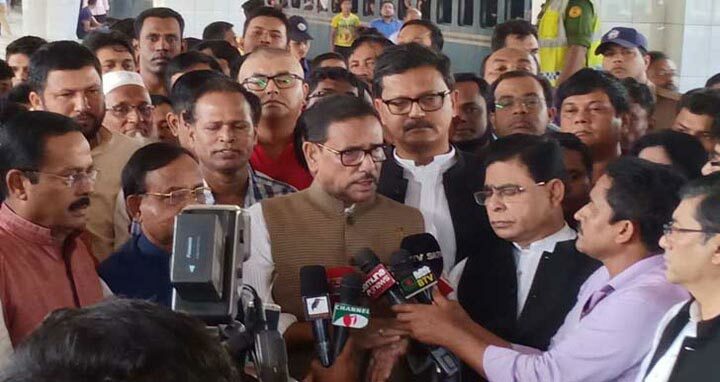 On Saturday, Awami League General Secretary and Road Transport and Bridges Minister Obaidul Quader and other leaders started visiting different districts in the northern region by rail.